Match your Dan Wesson Razorback Sportsman (RZ-10) with a concealed carry holster specifically made for full-size handguns to get the perfect combination of quality and craftsmanship. 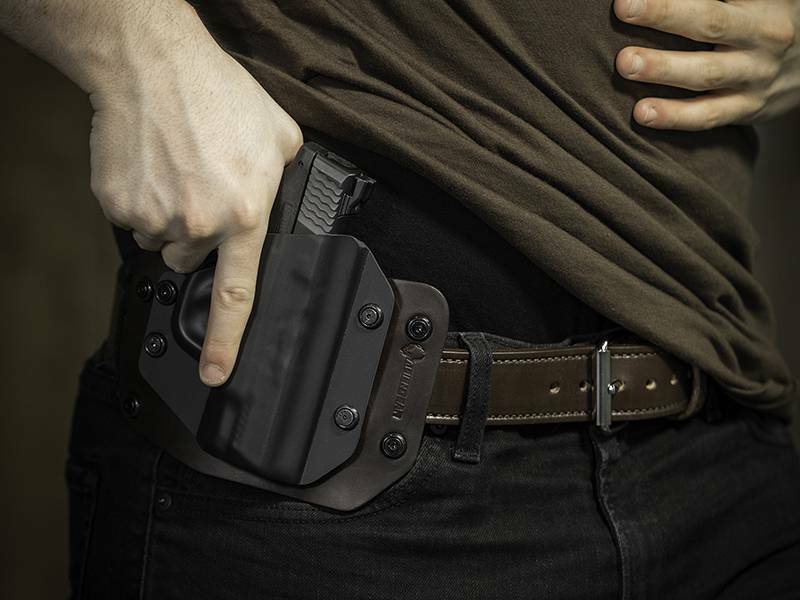 Alien Gear Holsters are without a doubt the most comfortable, concealable holsters on the planet. We promise that you’ll enjoy the feel of your Razorback inside of our handmade holsters within the first few minutes of wearing it – guaranteed. 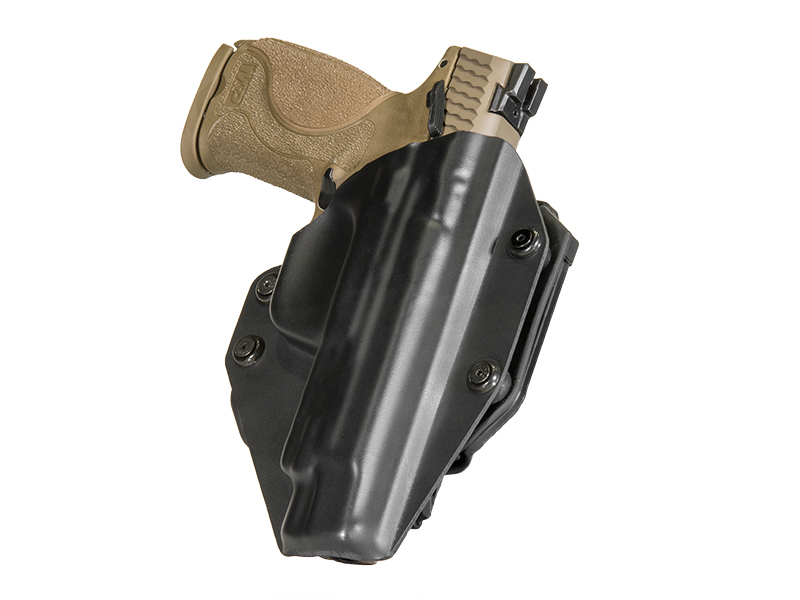 Our all-new Cloak Tuck 3.0 is a Dan Wesson Rz10 IWB Holster made using a soft neoprene backing that will conform to your side, while dispersing the weight of your firearm across the entire holster base. This sweat-resistant material will also help to keep you dry throughout a day of carrying your Dan Wesson pistol. Your comfort is one of our primary concerns. To deliver superior strength we’ve embedded a spring-steel core between the 3.0’s premium hand stitched layers. 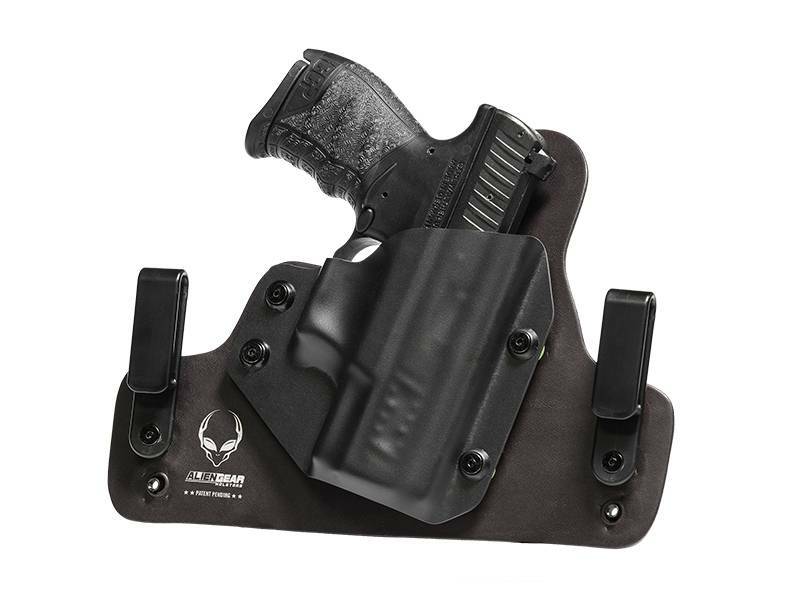 This, coupled with a sheet of ballistic nylon, will provide you with a durable strength and unsurpassed retention within this concealed carry holster. If you’d prefer a leather-based RZ-10 Sportsman gun holster, you’ll be pleased with our Original Cloak Tuck and our Cloak Slide outside the waistband gun holster. Both are made using fine drum-dyed English Bridle leather–a material that will withstand the test of time. 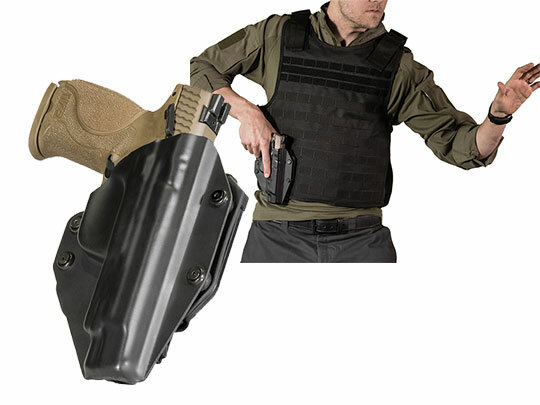 These full-size dan wesson holsters are also adjustable for retention, which allows you to customize your draw. For a fully adjustable Dan Wesson RZ10 inside the waistband holster, check out our Original Cloak Tuck and Cloak Tuck 3.0. Both holsters are capable of being adjusted for ride height and cant (angle). 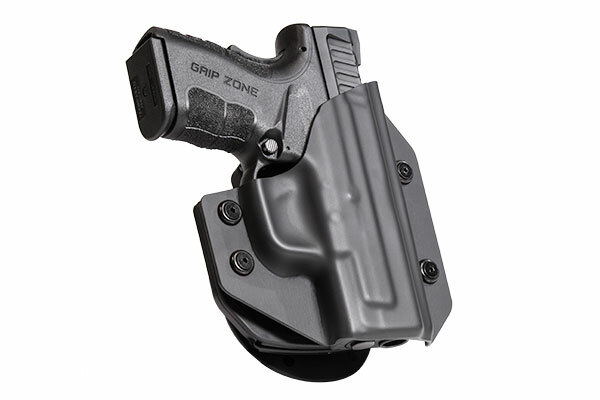 To achieve these customizations, simply relocate the nylon holster clips provided in your order. 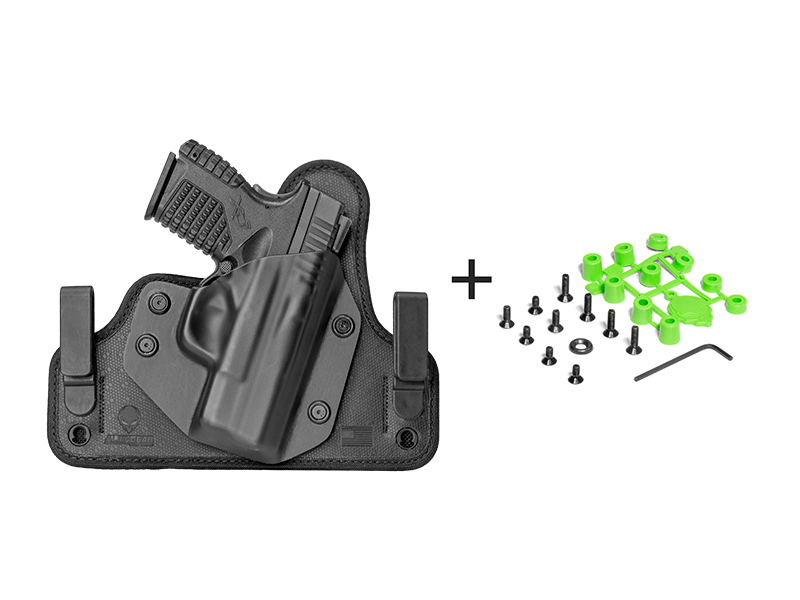 Every Alien Gear holster is backed by our Iron-Clad Triple Guarantee. This includes our 30-Day Test Drive, Free Shell Trades for Life, and a Forever Warranty. 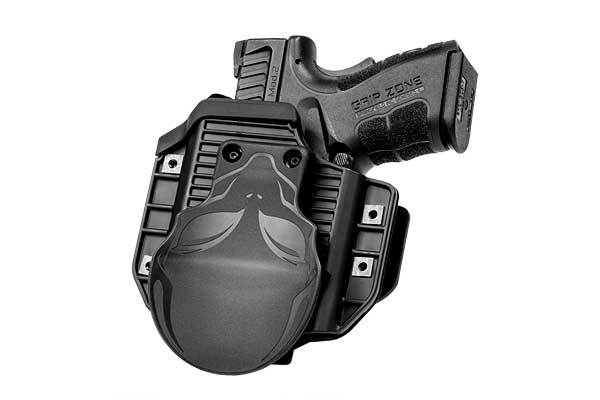 Carry your Dan Wesson RZ-10 Sportsman in one of these beautifully-made holsters and never look back.